Red, the color of power and passion, vitality and vigor, courage and boldness. It is a color for both men and women. For men, red represents victory, status, and personal power. For women, it represents independence, seduction, and personal power. The powerful effects of red reverberate throughout history. Ancient Romans gave red coral to their children as protection from danger, evil curses, and disease. To other ancient people groups, red coral symbolized life and blood force, offering hope to those plagued by violent madness or deep depression. Red coral was used as a fertility charm, believed to regulate a woman's menstrual cycle and restore reproductive health. In China, coral represents longevity, and in India it is believed to prevent hemorrhages. In many Old World cultures, red coral is believed to strengthen the blood. Ancient Egyptians believed that red coral contained traces of divine blood, energizing and granting wisdom to all who wore it. Ancient Greeks relied on red coral to bring them happiness and immortality, driving away illness and adversity. Many ancients believed that the more conspicuously red coral was worn, the more effective its powers. Tibetan Buddhists and Native Americans associate red coral with creativity, passion, wisdom, enthusiasm, and romantic love. 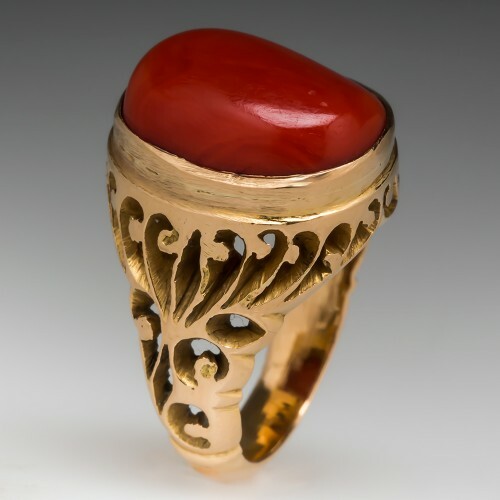 Tibetan Buddhists also believe that all coral is an important gift of the sea, and that red coral represents the highest level of compassionate energy. Rooted in the earth but swaying freely in the ocean currents, it reminds us of our eternal foundations. Though we are rooted to our mortality upon the earth, our spirits live and breathe freely in the air of heaven. Coral also reminds us of our durability and strength. Though coral appears fragile, its skeletal composition makes it quite hard and durable. Modern crystal healers lean on coral to provide strength to one's emotional core. Coral is said to promote inner peace, diplomacy, and stability. It is said to enhance wisdom and reduce stress and fear. It represents the transformation of that which is ugly into that which is beautiful. Immeasurable joy is thought to be the end result of the full manifestation of red coral's work. Are you looking for a change in your life? Are you seeking transformation in some aspect of your life? Do you need personal power to overcome a deep wound from your past? If so, may we recommend experimenting with red coral for yourself? This gorgeous red coral ring may be just the choice for a man or a woman in need of the powerful divine life force of red coral. It features a substantial 18k yellow gold setting carved in intricate openwork style. The 5-carat red coral cabochon appears raw and ancient in its form, evoking red coral's ancient roots and powers of impartation. We invite you to make an appointment today to sample the power of red coral. See what it can do for you.